The voting for the 2012 Ursa Major Awards, for the best anthropomorphic literature and art of the calendar year 2012, is now closed. Voting took place from March 15 to May 15. 1,696 registrations were received, but only 1,113 people actually voted. The winners will be announced at a presentation ceremony at Anthrocon 2013, held July 4–7, 2013 in Pittsburgh, Pennsylvania. The placing of the voting will be released at this time. Registrations were received from Argentina, Australia, Austria, Barbados, Belarus, Belgium, Brazil, Brunei, Bulgaria, Canada, Chile, Costa Rica, the Czech Republic, Denmark, El Salvador, Finland, France, Germany, Grenada, Greece, Honduras, Hong Kong, Hungary, Iceland, India, Indonesia, Israel, Italy, Japan, Latvia, Malaysia, Mexico, Netherlands, New Zealand, Norway, Philippines, Poland, Portugal, Puerto Rico, Romania, Russia, Singapore, Slovakia, Slovenia, the Solomon Islands, South Africa, Spain, Sweden, Switzerland, the UK, the U.S.A., Ukraine, Uruguay, Venezuela, and Vietnam. This includes the large number of registrants who did not in fact vote. Voting for the 2012 Ursa Major Awards, for the best anthropomorphic literature and art of the calendar year 2012 in eleven categories, closes on May 15. If you have not voted yet, you have a week left to do so on the Ursa Major Awards website. In addition, the Anthropomorphic Literature and Arts Association has closed the 2012 Recommended Anthropomorphic Reading List. Recommendations for the 2013 Reading List are now being accepted. All fans are invited to recommend worthwhile anthropomorphic works in eleven categories (motion pictures, short fiction, dramatic short films or broadcasts, novels, other literary works, magazines, graphic stories, comic strips, published illustrations, games, and websites) first published during 2013, plus miscellaneous items. This List is often used by fans to nominate in the next year's Awards. The Ursa Major Award finalists for 2012 are . . . Nominations for the 2012 Ursa Major Awards, for the Best Anthropomorphic Art and Literature of 2012, close on February 28. There is only one week left to nominate. Anyone may submit up to five nominations for works first published during 2012 in each of the eleven categories — Motion Picture, Dramatic Short Work or Series, Novel, Short Fiction, Other Literary Work, Graphic Story, Comic Strip, Fanzine, Published Illustration, Website, and Game. It is not necessary to nominate for all categories. The 2012 Recommended Anthropomorphics List may be used as a guide for what is eligible, but its entries on the List are not automatically nominated. Titles not on the List that were first published during 2012 are still eligible, in case some gems have been overlooked. Discussion about potential nominees is welcome at the Ursa Major Awards LiveJournal community. Voting will take place from March 15 to May 15, 2013. The winners will be announced at a presentation ceremony at Anthrocon 2013 on July 4-7. The ALAA’s 2012 Anthropomorphic Recommended List will close on January 15, 2013, to allow for last-minute recommendations of last-week-of-2012 releases. The 2012 Ursa Major Awards nominations will open on January 17, the first day of Further Confusion 2013. Go to the Ursa Major Awards website on January 17 to register for an online nomination form. You may cast up to five nominations in each of eleven categories: Best Anthropomorphic Motion Picture, Best Dramatic Short Work or Series, Best Novel, Best Short Fiction, Best Other Literary Work, Best Graphic Story, Best Comic Strip, Best Magazine, Best Published Illustration, Best Website, and Best Game. If you do not have five nominees in any category, you may nominate less. To be eligible, a work must have been released during the calendar year 2012; must include a non-human being given human attributes (anthropomorphic), which can be mental and/or physical; and must receive more than one nomination. If you cannot think of anything to nominate, you may refer to the 2012 Recommended List. That has at least five titles in each category, recommended by Furry fans. Remember, 2012 Recommendations are not nominations for the awards. Nominations of a work are separate. You may nominate a work that has not been recommended if it meets the eligibility criteria. Not criticism of the fandom (though that's fine too) but of the material which people post — and not criticism of its topics, but of its quality. We need people to point out deficits in artwork or stories so that they can be fixed, even if it can be tough for the creator. I've been critiquing art and stories for a number of years now – perhaps sometimes a bit too harshly – and I find it quite depressing how some people react. I don't expect them to be happy when I point out flaws, but some go so far as to delete and re-upload their work to remove criticism. Some furry sites also allow users to hide comments that they don't approve of, or prevent them entirely. That's fine when people are trolling, but you lose something important when those features are used to stifle criticism because the user finds it upsetting. On the plus side, some users do actually pay attention and listen. Voting for the 2011 Ursa Major Awards, for the best anthropomorphic literature and art of the calendar year 2011 in eleven categories, closes on May 4. If you have not voted yet, you have one week left to do so on the Ursa Major Awards website. The finalists are . 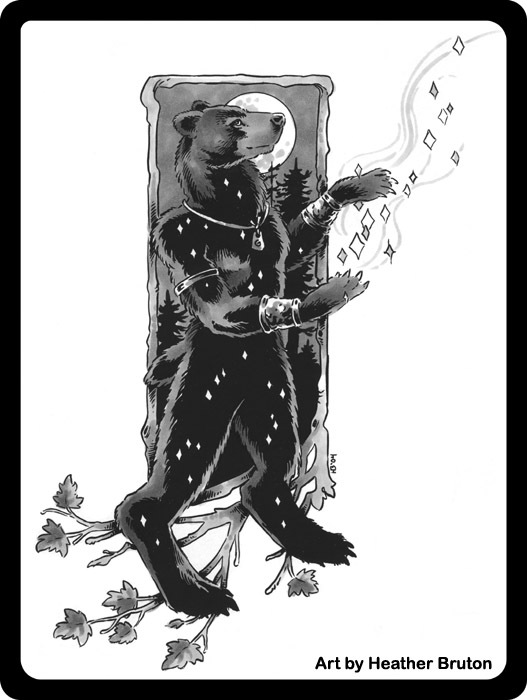 . .
Voting for the Ursa Major Awards for the Best Anthropomorphic Literature and Art of 2011 is now open, and takes place until May 4. The winners will be announced at a presentation ceremony at CaliFur VIII in Irvine, CA on June 2. Anyone may vote, and you are encouraged to ask your friends to vote also — please help spread the word! There are five nominees in each of eleven categories, except where there was a tie for fifth place. To be eligible, a work must have been released during the calendar year 2011; must include a non-human being given human attributes (anthropomorphic), which can be mental and/or physical; and must receive more than one nomination. Read on for the nominees . . .
“It’s the literary equivalent of buried treasure!” That’s more than just publisher’s hyperbole. It might just be the best description of The Bippolo Seed and Other Lost Stories, published last fall in hardcover by Random House. For the first time it collects together 7 original stories by Dr. Seuss that have not seen the light of day since they were first published in magazines from 1948 to 1959. From Amazon: “Seuss scholar/collector Charles D. Cohen has hunted down seven rarely seen stories by Dr. Seuss. Originally published in magazines between 1948 and 1959, they include ‘The Bear, the Rabbit, and the Zinniga-Zanniga’ (about a rabbit who is saved from a bear with a single eyelash! ); ‘Gustav the Goldfish’ (an early, rhymed version of the Beginner Book ‘A Fish Out of Water’); ‘Tadd and Todd’ (a tale passed down via photocopy to generations of twins); ‘Steak for Supper’ (about fantastic creatures who follow a boy home in anticipation of a steak dinner); ‘The Bippolo Seed’ (in which a scheming feline leads an innocent duck to make a bad decision); ‘The Strange Shirt Spot’ (the inspiration for the bathtub-ring scene in The Cat in the Hat Comes Back); and ‘The Great Henry McBride’ (about a boy whose far-flung career fantasies are only bested by those of the real Dr. Seuss himself). The 2012 Ursa Major Awards, for the best in anthropomorphic literature and art of 2011, will be presented in a ceremony at Califur 8, at the Irvine Marriott Hotel in Irvine, California on 1–3 June 2012. The 2011 Awards were presented at Morphicon 2011 in Columbus, Ohio on 13 May 2011. The Awards have been presented at Califur once before, in 2007. 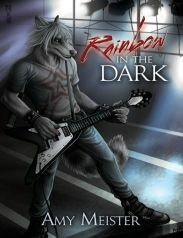 After a long journey, up-and-coming artist and writer Amy "Ringshadow" Meister (FA) has entered the publishing market with her first e-book, Rainbow in the Dark (originally named "Like a Rainbow in the Dark", as a tribute to the Ronnie James Dio song of the same name). The story, set in an anthropomorphic/furry universe, concerns a closet-gay wolf-raccoon hybrid named Marcus Midnight, a fictional rock star, and his power-metal band Guillotine. After a successful musical career spanning twelve years and six hit albums, Marcus feels burned-out and extremely lonely. Voting for the Ursa Major Awards for the Best Anthropomorphic Literature and Art of 2010 is now open, and takes place until April 17. Anyone may vote, and you are encouraged to ask your friends to vote also — please help spread the word! There are five nominees in each of ten categories, except where there was a tie for fifth place. To be eligible, a work must have been released during the calendar year 2010; must include a non-human being given human attributes (anthropomorphic), which can be mental and/or physical; and must receive more than one nomination.